Our Mother of Confidence Alpha is coming to OMC! Our Mother of Confidence > Alpha, everyone welcome, God, Jesus, lost and found, searching, soul > Alpha is coming to OMC! 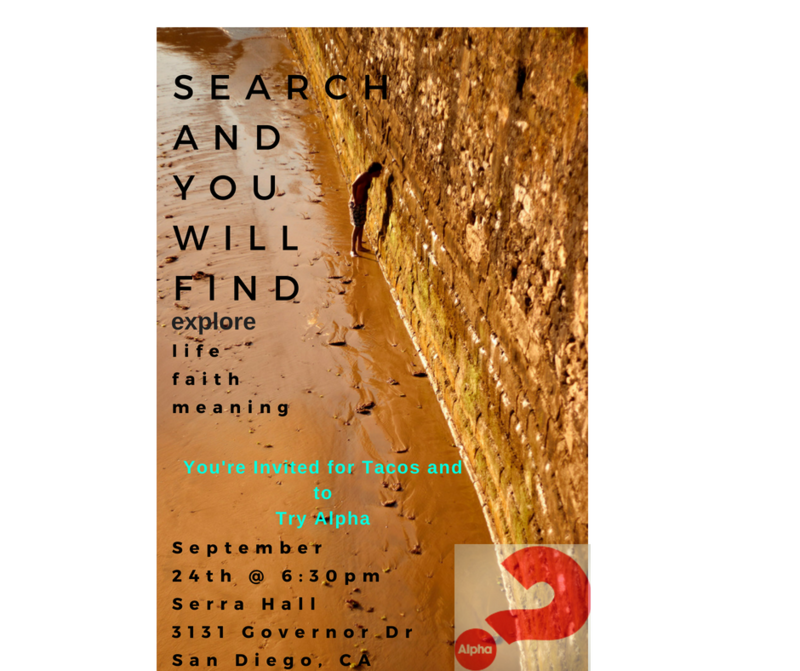 Our Alpha program kicks off on Monday September 24th at 6:30pm in Serra Hall and runs for 10 weeks (same time/place). Please join us and bring a friend/relative/neighbor/co-worker!